Isaac Haxton is an American professional poker player from New York. He hit the poker headlines in 2007 when he placed second in the World Poker Tour Championship Event at the PokerStars Caribbean Adventure. He lost that event to Ryan Daut, but still took home a decent cash of $860,000. Isaac Haxton was born in 1988 in New York. He started playing poker in his teens with his friends and by the time he turned 18 Haxton took his game to the live circuit and has been doing quite well for himself. Haxton is also considered one of the best online players in the game. Fearless and aggressive, he’s racked up numerous tournament scores online and regularly plays in the largest cash games around. Before poker Haxton, like many other poker pros played all kinds of board and card games including chess and Magic: The Gathering. 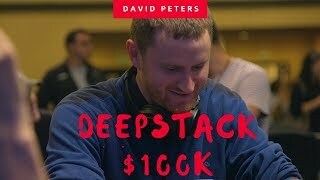 He picked up poker in high school and became serious about the game when he started studying computer science at Brown University. After awhile Haxton decided to take some time off school and pursue a career in poker. However, unlike many other young poker guns, Haxton had his family behind his back. He started playing poker in casinos at the age of 18 and soon enough he entered his first live tournament, the 2007 WPT PokerStars Caribbean Adventure. In 2007 Haxton cashed three times at the World Series of Poker in Las Vegas. In one of those events, Haxton made the final table and placed seventh for nearly $100,000. He also made a deep run in the Main Event. In 2008, Haxton landed himself in the money at the WSOP four more times. He made another final table and walked away with over $80,000 in winnings. In 2009, Haxton scored his biggest live tournament cash to date. He played in the prestigious $40,000 anniversary event at the World Series and placed second behind Russian professional Vitaly Lunkin. Haxton held the chip lead going into heads-up play, but some ill-timed plays landed him in second place. He did earn over $1.1 million for his finish. At the PokerStars Caribbean Adventure in 2007, Haxton stormed onto the live tournament scene with a second-place finish behind Ryan Daut. Haxton earned over $860,000 for this finish. A month later, he made a deep run at the L.A. Poker Classic. A year later Haxton scored another cash at the Bellagio Cup IV $15,000 No-Limit Hold'em event, but then had to wait three years for his fourth. 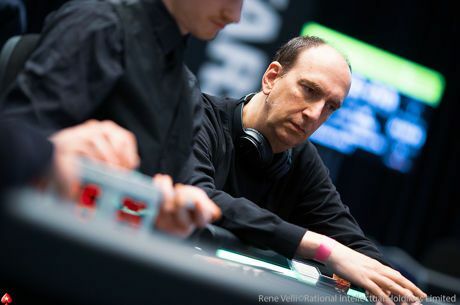 In 2011 he made a deep run in the WPT Malta Main Event and finished the tournament in 12th place for more than €9,000. Haxton put out his best performance at the EPT tables in 2012 when he made two final tables in the PokerStars Caribbean Adventure. At first he final tabled the $5,000 No-Limit Hold'em 8 Max Turbo event and placed third taking home more than $35,000. Then just a couple of days later he did the same in the $25,000 High Roller event, only this time he collected ten times that, $380,000. In October, 2008 Haxton final tabled the £20,000 High Roller Event at the European Poker Championships in London. He finished that event in 6th place which was worth nearly $190,000. Then two years later, in April, 2010 Haxton came out victorious in the $2,500 No-Limit Hold'em event at the Deep Stack Extravaganza II in Las Vegas for $127,069 in first-place prize money. In December, 2011 he made another big final table, this time at the Doyle Brunson Five Diamond World Poker Classic $100,000 High Roller Event. Haxton came in third place for just more than $580,000. Isaac Haxton in the member of Team PokerStars Online. After winning $860,000 at the WPT PokerStars Caribbean Adventure in 2007 Haxton became known as ‘the guy with $800K stuck in NETeller’ as all of his winnings got stuck on the online bank due to the investigation against NETeller. However, Haxton's money was eventually released.